I often ask my Divorce clients to tell me how they visualize their life five years from now. This often helps focus clients on their goals, which helps us determine the best decisions to make in their divorce case. For instance, if a client doesn't see themselves living in this area five years from now, then I wouldn't recommend that they buy their spouse out of a marital home. One question that comes up in many cases is the likelihood that a client might get remarried, which can have an obvious impact on divorce issues (such as alimony which typically ends upon remarriage). 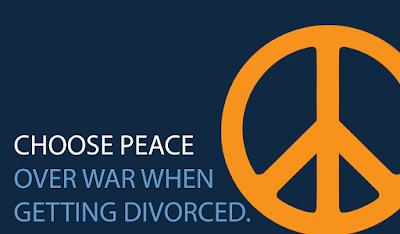 Almost every Divorce client that enters my office is adamant that they will not get remarried. But the statistics disagree. In fact, 50 percent of divorced individuals remarry within five years. According to a study by the Department of Health and Human Services, the percentage was even higher in the 50s, 60s and 70s. Many clients don't want to hear about these statistics, but I think that one of my jobs as a Divorce attorney is to focus clients on the future. It is important for people going through a divorce to realize that there is light at the end of the tunnel and they should be thinking about life after divorce, not just life during a divorce. Although, a Divorce client might not think a 50% chance that they'll remarry in five years is good news today, I think believing that love is still possible ultimately gives people hope and optimism about their future.